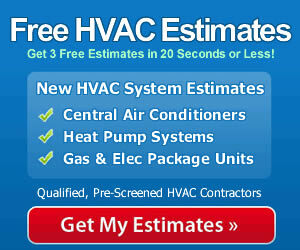 Have you picked up the phone lately and asked your local heating and cooling dealer about HVAC prices? “Sir, how much would the Amana AMVC8/ADVC8 Two Stage, Variable Speed Gas Furnace cost, installed?” The answer will invariably be, “That depends,” or something like it. That’s actually a fair response because there are many factors to consider including required Btu capacity, duct work and venting issues to name a few. That’s why it’s great to get letters from readers detailing their experience – they give you a chance to price HVAC units and do some comparison to at least get an idea of what your costs might be with various brands and models. “Last March our furnace quit and we got through a couple cool weeks with a space heater until the weather warmed up, in order to keep from having to make a quick decision on a new furnace. When we had time to do some research we made the decision to go with an 80% efficiency model because our ‘perfect’ climate here means we don’t do a lot of heating or cooling. The contractors we had out to have a look asked good questions about our heating and cooling habits, plus did calculations based on the size and layout of our home, and then gave us quotes. I’ll call the other brand XYZ. Up to 80% AFUE for good fuel economy. 2-stage gas valve conserves gas by running on low most of the time. Stainless steel MillionAir dual diameter heat exchanger. Variable speed motor for quiet, efficient heating that keeps temps consistent (works fantastic!). Meets California Nox emissions standards. Low constant speed fan option to keep air moving for greater balance and comfort. Limited lifetime warranty on the heat exchanger that includes furnace replacement for 10 years; 10-year warranty on all moving parts. The only note we’d add to this helpful letter is the importance of having a qualified contractor do the installation. As Maggie indicated, they are trained to determine the right size unit for your home and specific needs. Plus, you’ll have the confidence that your furnace will operate safely, at the level of efficiency you expect from it, and that your warranty will be valid should you require service.